During a recent lecture in Buffalo, the poet and artist Jill Magi pointed out that the modernist obsession with grids is by no means original, but really is an ancient logic revivified. We encounter it first of all in textiles: warp and weft, the taut squares of fabric, nearly-perfect boxes of color on the quilt, the constricting right angles of a net. Now, of course, the grid is a logic obsessed with us, a logic that presses in on the contemporary in all directions: the grid of pixels on a screen, the grid of a city block, the grid of fields and cages and fences from which our food comes, the grid of a net emptying a vast swath of ocean, the grid of the big box store, of the prison block, of the classroom, of the cubicles, of the parking spaces, of the spreadsheet cells our data-selves are kept in. More abstractly, with globalized capitalism’s pernicious linking-together of everyone, everything, and everywhere, we could say that the grid is the current ordering of the world, how we are ordered into neat and tidy conceptual apartments (for everyone and everything has their place). At the same time, the grid is a metaphor for the most living need: the desire for filiation or connection, the threading-together of many into a messy and always-incomplete whole. 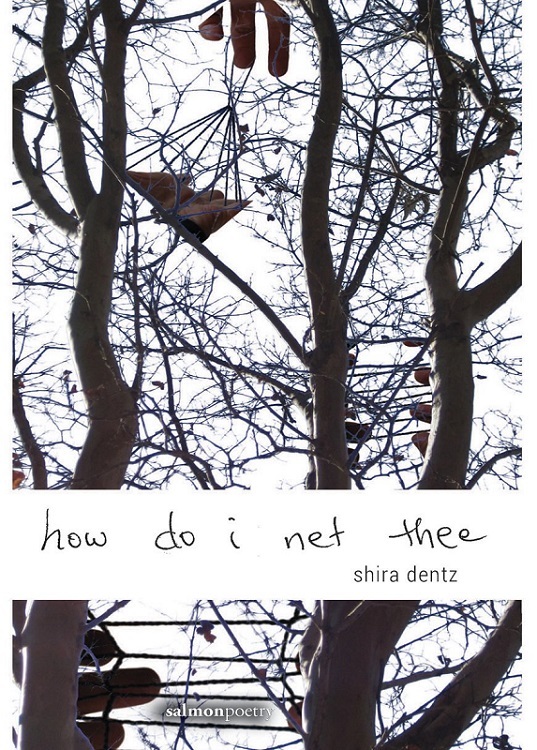 It is within this complex and double-edged sense of the grid, or the net, that Shira Dentz’s how do i net thee works, as she threads together the messy and necessarily imperfect familial ties that serve as a throughline throughout the book, while at the same time composing poems that are deeply skeptical of the nets she casts—or is caught up within. 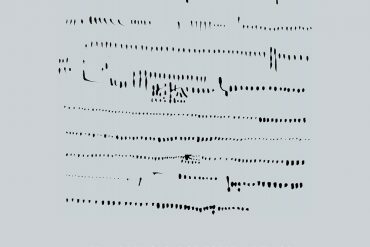 In Dentz’s book, we encounter the logic of the grid, but in a warped or warping form, as if the threads have not been—or cannot be—rendered taut. 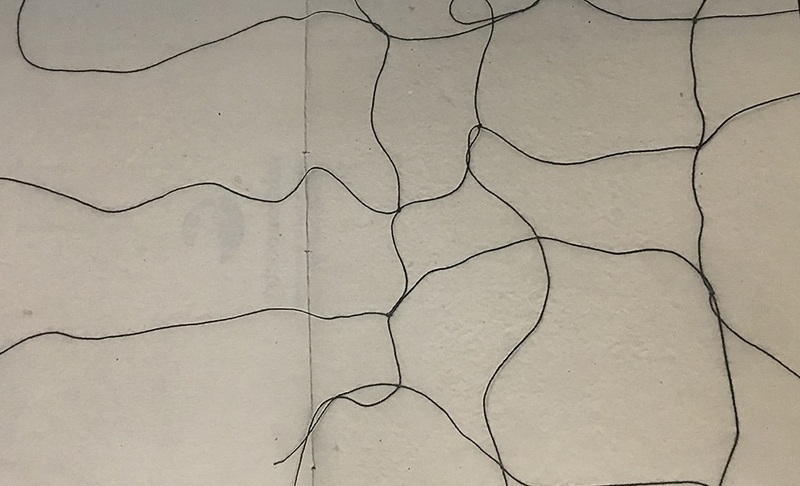 Jill Magi’s frontispiece to the book provides a sense of this flailing grid, the squares contorted into curious shapes, and with loose trails of thread that betray the illusion of closedness or completion that a grid gives off. Like the frontispiece, Dentz’s book is paradoxically closed and open, or on the verge of opening up. Not quite a closed text, hermetically sealed, and not quite an open text, freely given, how do i net thee straddles the seeming divide between these two camps of poetry, offering poems that must be actively composed by the reader through a navigation of the visual and syntactical grids Dentz constructs, but with a lyric throughline threading the poems and sections together. 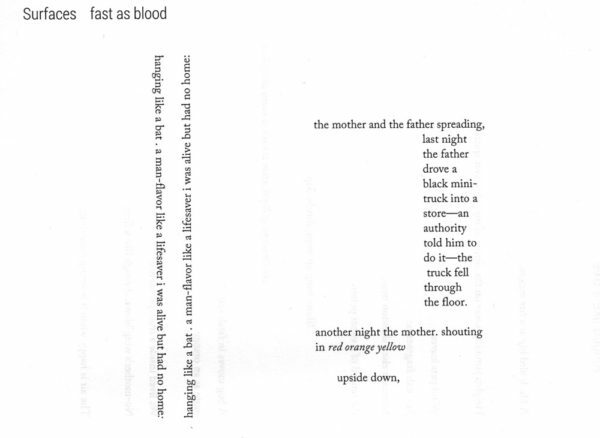 We can see this in the individual poems, but also in the broader construction of the book, with the different sections represented by a looped square, also known as a Bowen knot (⌘): rather than a clear linear progression from section to section, we encounter sections and poems that loop back around, circling and creating a net at the same time. it was sunny and a bit of thought passed. hanging tongues from the ceiling. 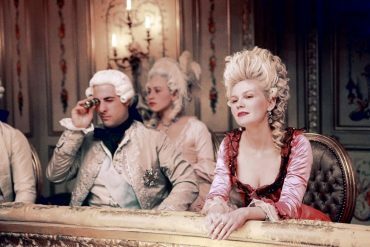 Language is a brocade, heavy and decorative and woven, netted and gridded, “hanging tongues from the ceiling.” Or, a brocade must be languaged, must be spoken into being: brocading is what language does. 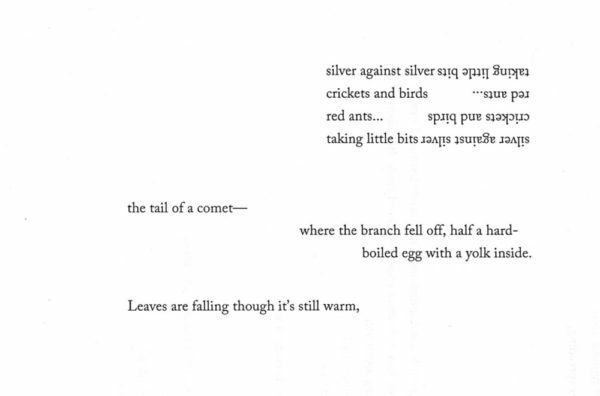 If brocading is what language does, we could say that Dentz’s poems are an attempt to unravel the overly decorous brocade of gridded language, to remake it instead as a shaky net – how do I net thee, but without turning you into a stuffy icon, a fixed image? How can I grasp those who are tangled up with me in the net of familial connection, but without binding them, or without binding myself to them? And how do I net thee without redoubling the ways in which we are all already netted in our monstrous present? These are the aporias that Dentz navigates. 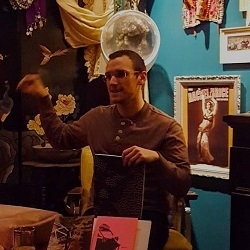 Travis Sharp is the author of the chapbook Sinister Queer Agenda (above/ground press, 2018) and the artist’s book one plus one is two ones (Recreational Resources, 2018). He’s an editor and designer at Essay Press, a teaching artist at the Just Buffalo Literary Center, and a PhD student in the SUNY Buffalo Poetics Program. 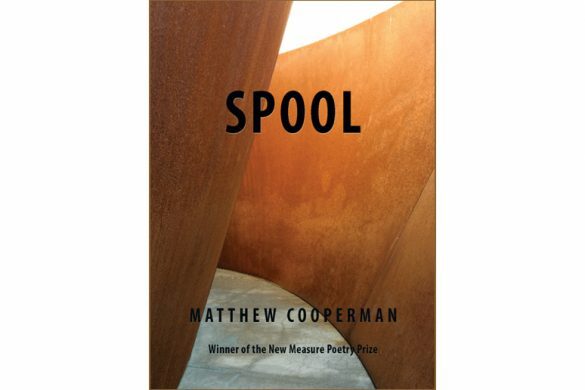 His poetry has appeared in Columbia Poetry Review, LIT, Puerto del Sol, Bombay Gin, P-Queue, and elsewhere.